After two months of healing and realizing I was not going to immediately and quietly die from the effects of the disc craft..I decided to start to actually research the UFO phenomena more closely. I had always turned a blind eye to it..Many times hearing of encounters..and just thinking..oh well..another military program. After the silver disc encounter and watching it leave at speeds well past the speed of sound..from a stand still...I was very aware..that..it was not ours..As I have told everyone that I talk to..the speed would crush any human from the G-force. I did not expect to see anything more..as I felt it is not very common to see such. So..I continued on with things that needed to be done at the lake.. My best friend and I were in the process of taking down an old Ukrainian log homestead, log by log and moving it to the lake that was miles away. Then at the lake, we were resurrecting it log by log and bringing it back to life. It is a 100 year old part of the area's history. The whole parkland region of Manitoba...has much wildlife...there are farmers fields that skirt areas..but..when you near Riding Mountain National Park..there is...a change..and..you soon forget about the rest of the world..as ..forest..and wildlife..begin to surround you.. I found..and still find the region..to be a sanctuary..where one can actually get away from..whatever society...instills. From the disc craft encounter..I had become very aware of my surroundings..I was ..if anything...with heightened senses. That was not to say that I was not relaxing and enjoying my time in the region..I was aware of what was taking place in the area, so I kept more observant. I was aware that there were very..uncommon..and..unknown things there. My buddy and I continued to work on the log cabin and things seemed to be..as they "should be" for the lake area. I was not seeing anything out of the ordinary. Nearly 3 years had passed since the disc UFO and I found myself feeling more at home..even more than when I was at home. The region..and the people...are a unique type..They make you feel like family. Very down to earth and honest folk. Good people. I was spending most of my summers at the lake...and only once in a while, my buddy and I would go back to the city to.."recharge" and grab whatever supplies that were needed, that we couldn't get out there. We would then zip back..to take on where we left off with work. I enjoy the night most of all...when the sun goes down...and the night sky comes to life..with our galaxy. During clear nights I go and lay on the front of the boat..leaning back on the windshield and..I watch the stars....I am still the same young boy..that would lay there on the grass looking up at the night sky..during summers, in my childhood. I find peace...a familiarity...a sort of comfort..as I lay there in the true silence that most cannot imagine. The lake almost always like a sheet of glass, it is so calm. It is tranquil and soothing for the soul. I know the night sky well..and..know when satellites are to pass...it is all like clock work..but I usually did not need a clock to know the time..as they made their nightly passes.. The part that I would make me smile was seeing the meteorites shooting across the sky...or bouncing off the atmosphere..as they shoot across the heavens and light up in the sky. Often..I would lay there for many hours..relaxing..with the milky way adding wonder to this beauty. I found myself in that familiar position again..as I lay there relaxing one August night. It was August 5th 2005. An event was to take place that will forever be in my mind. Shortly after midnight I had just looked to the west and was now focusing my sight to the southern part of the sky, as I followed the milky way. Lost in the amount of stars I could see. It was a very clear night, peaceful..calm. Suddenly there was a very bright light off to my right...to the west. I looked over immediately annoyed that there was a light source taking away from the star filled sky. I hadn't give much thought to what it was...That is..until I looked over. 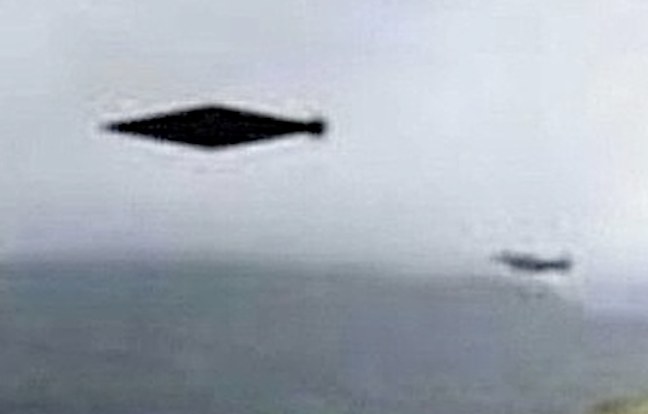 Sitting there, not very high above the shoreline was an elongated diamond UFO. At first thought..for no reason at all, I thought it was a jet landing light..as it looked so strange...and that would not be a good thing...seeing that there was no airport for hours away. The craft suddenly got brighter and I thought a meteor as the white light seemed much the same as when you see bright meteorites burn up across the sky..but..it was not moving...I suddenly then realized what it was I was looking at. I know it took a few seconds..as I was trying to think of everything I know of that it could be and trying to figure out what it was.. It was certainly not immediate to me. I was in shock of seeing anything out there at night. It was then..that I realized..it was..a craft..just like the silver disc. So shockingly strange to see. Now in a sitting position I then stood up on the nose of the boat..My heart now racing and adrenaline starting to kick in..My mind racing...not knowing what to do..what was going to happen. I was scared...This craft was way to close to not be scared. Everything was deadly calm and silent. The lake had been bustling with life minutes before, with all the animals and insects that were very active.. now silent or gone. Still the craft became brighter as I could no longer look without squinting and even then..I could not look into the light..terror was rising up from my gut..and..the unknown was suddenly familiar to me again. Light surrounded me..and..realized..I was in a beam of light..bright white light...Energy like I had never felt, seemed to fill everything including the air I was breathing.. I realized I had to leave NOW!..I had to run and get away..I had to get out of the light..Only relying on instinct now..I knew I had to jump off the boat..and run into the forest..into the trees...That was my only option.. I was springing to jump...to get away...to run as fast as I could into the dark, and hide. Something happened. Suddenly the panic was gone..I was not ready to spring off the boat..and run away..Suddenly...I was standing there.. facing the craft as it started to lower its light intensity..The bright white light surrounding me as this craft sat in the sky perhaps 40 yards away, was now starting to go back to an intensity where I could actually look at the craft.. I found myself standing there, mouth wide open..as I watched this craft...I was no longer thinking of running..but..my heart began to pound in my chest again. The elongated diamond began to move slightly..and gently...then in an instant..it shot off on an angle to the west of me...straight ahead of where I was facing. 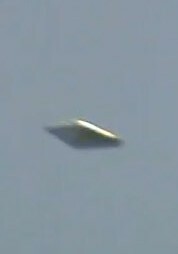 I watched ..still in disbelief...as this craft went from being a UFO that was approximately 50 feet wide...and 40 yards or less away...to being as tiny as a distant star in 1/10 of a second. It traveled many miles...in less than a blink of an eye. The only reason I did see how far and how fast this craft went was..it left directly in front of me and away...so..I was already looking in the direction it was left in. Had it shot off to my side I would not have seen it leave, it was that quick. The lake was still quiet not a bug or animal stirring..The water so calm you could see all the stars above in it's reflection. I didn't know what happened..I didn't know what to do....Everything seemed so strange...I know that something had happened..but...I did not know what it was. As I watched the craft shoot up out of our atmosphere..I knew something was missing..I also knew..they would be back... I was correct with that assumption...as you will read. I had cleared my mind...my breathing was slow..as my heart beat and blood flow slowed to a sleeping pace. I focused on an imaginary point that I could see...as I had done hundreds of times before..
Now relaxing...and in a state..of meditation, I suddenly had a burst of memories come pouring out...They flowed from where they were hidden away and there was no holding anything back. All the emotions and feeling came rushing back with all the visual memories. I know that in many circumstances people who have traumatic events or very bad experiences ..sometimes find ways to block that memory...but...I do not think that was the case for me..I do think it was done so from the last mentioned encounter that I had. All the feelings..the strangeness..the lack of understanding..the whole unimaginable situation..was there like it had just happened. My memories take me to a point where I had already been on the craft for some time..Whatever reason I was there for..was now past. I found myself sitting on a floor...in a circular room. The entire room was not very well lit up. It was almost an ambient type of light within. There was no source for the light. I was sitting there with my back to the wall..I was naked with my knees pulled up to my chest, my arms wrapped around my legs and my face pressed in my knees...I looked up. What I saw were 4 beings..they were short..very skinny..with large heads compared to their bodies. They fingers were very long as compared to their body. I could see their dark soulless stare from the large black eyes they have. Looking into their eyes was like looking into their mind....cold and dark..and nothing like us...almost like an emotionless void. I knew they were done with me..They could not care less about me being there..They knew I was watching...but could not be bothered..
To them..I was less than we would look upon a fly in a room while we work..We would not care that it is there at all. They were done...I knew it..because I didn't want them to touch me any more..I didn't want them inside my head...as they had been...I just wanted them gone..I didn't want to be there...as it was not right..none of it was right..
None of this has ever been talked about by people that I know..As a matter of fact...religion, science, governments..they all say these beings are not real...and I was brought up to "respect" what I was told. So after a lifetime of "conditioning"..as we ALL go through..I was face to face again with what we have been brainwashed into believing..is not real. The room within the craft was about 30 feet across..There was a console or control panel of sorts in the middle of the room. That is where the 4 Greys were. It seemed that they were preoccupied with whatever they were doing. There had been an examination table in this same room..It was no longer visible..as it becomes part of the craft, when not in use. I would assume the same for the console/control panel that they were standing over.. The details of the interior still remain very intact in my memories. Inside the craft, it was warm. I would guess it was about 22 or 23 Celsius. The room was made of some sort of metal or something like it..It was not cold to touch..Then entire room was dark blue..and appeared almost pearl like when looking at it with different angle of lighting. As I said the room was round....The ceiling, wall and floor were curved and flowed into each there..Like being in a flattened bubble...There was no separation to the walls, ceiling and floor. What I mean by that is..everything flowed into each other..There were no corners they were all curves. There were no edges of any sort. It all was the same..even the console in the middle of the room was rounded..and was part of the ship. There were no seams. I put my head back down into my knees..and..I cried...This was all too much..and I didn't want to be there any more..
That memory opened many doors that were closed..as I was trying to find answers to what I was being made part of. I told my friends..of my encounters...I did not tell them everything. It really is difficult to talk to people who have not had their own close encounters. I felt alone...singled out... I didn't ask for any of this..I did my best to not even think about them..for most of my life. But there comes a time..when we all have to face the truth..no matter what it is. 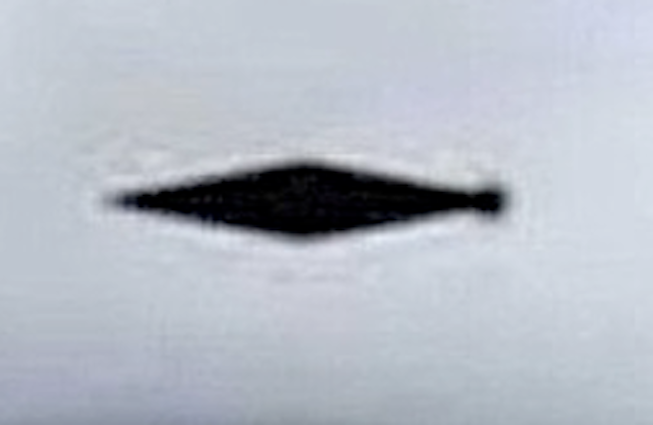 It was now a few weeks since my close encounter with the elongated diamond craft and I found myself east of Winnipeg Manitoba, on the Trans Canada highway. It was August 27, 2005 at around 7:30pm. The sky was clear..and there was still much light.. We had just entered Manitoba after making a delivery for a friend into Ontario..so we were coming back with a semi tractor, empty and heading west. It was then that I noticed a backwards white "C" in the sky off to the north a bit, but not too far, it was more above than north. I asked my buddy who was driving, Do you see that?. He said yes, I then asked him then, What do you think it is? He said, I don't know. This image is not mine but similar in appearance. I then had the opportunity to watch this object for about 45 minutes. It was as white as a jet contrail and I thought, well maybe that's it. 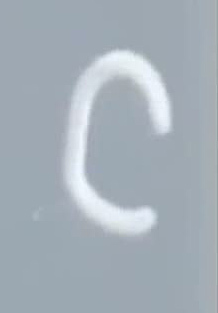 But I soon realized that it was remaining in the backwards C shape and not fading or changing. I know there are strong winds up there..and it should have dissolved away by now.. It was traveling in a westerly direction, the same as us. I wasn't sure..but after watching it for a little while I realized it was moving. We were doing around 110 km/hr, as I took note.. and yet the object continued to pull away from us and it was some distance up. It was not going any higher up in the sky..it was gaining ground on us though. 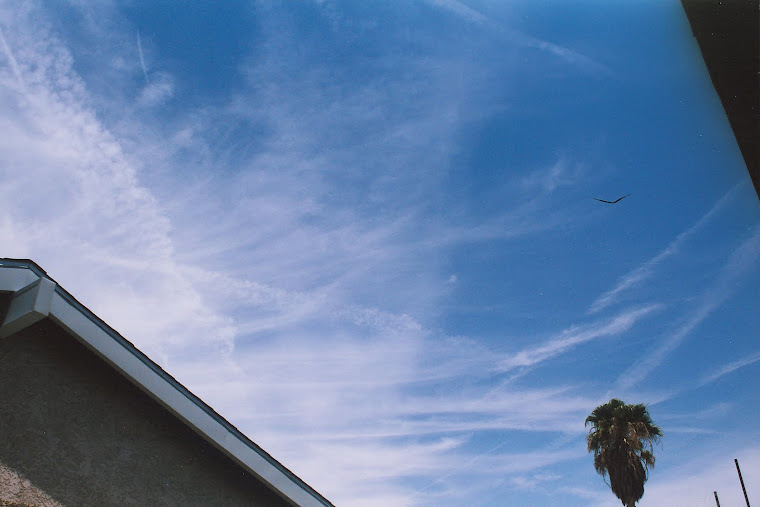 I then noticed a large jet airliner that was heading east. I watched the two, wondering what would happen when the two came closer together. The Object seemed to actually pass right by the jet. I thought to myself, wow! I wonder if they saw it? They must have. The object was fairly large. I could see it and I could tell it was very high....It was as large as the Jet, if not more. I could not see how any pilot could miss it. I sat there watching and and wondering, trying to come up with an explanation for the object. For some time I was racking my brain as I watched it continue to get further away..heading west. It couldn't be the moon, not even close to the right place in the sky and it didn't look like any moon I have ever seen. My buddy asked could it be Venus? I said no. It was way too big and Venus is a bright object..certainly not a C shaped object that is as large as this was.. I continued to watch it until it finally was too far west..and went out of sight. It was a peculiar sight and even more strange that it passed by so close to the jetliner. The conversation remained on the UFO subject..as now my best friend had seen something strange in the sky with me.. I was no longer seeing things...alone..and that brought some comfort. The summer was now changing into fall..and there was even fewer people around the lake area..except for the permanent residences. The leaves starting to change and fall.. Many people like fall..but to me..it means an end of warmth...and the beginning of sleep for most life out there during a Canadian prairie winter. It was now approximately 9:30 PM on September 2nd, 2005. The sun was setting but it gave off a wonderful deep purple and pink sunset. There were clouds to the south of us that still reflected the colors. We had been working all day..and went to the south end for a quick supper..and hit the showers..at the campground on the way back to our area of the lake. We had reached the north end of the lake..traveling north, down a gravel road and turning west towards the property. We had just come over a hill and were at the top of it when my buddy suddenly slammed on the brakes...I very quickly realized the reason for the abrupt stop...The reason ..was sitting in the sky, right above..where we have our camp. The sky..still its pink and purple color from the sunset..had a very large orange sphere that sat there..perhaps 40 yards above the north shore. My best friend who was driving, sat there with me looking at this very large sphere in the sky. He said very little...As for me..I was not saying anything..except...holy sh!t, over and over. My friend then asked.."what is that?" I sat there looking at the glowing sphere...it was not moving.. I could tell that it was pretty big. I would say at the least, 40 feet across. It sat there..so heavy in the sky..It stuck out very much. It was so wrong..
With the sun below the horizon..there was no chance of this being any kind of reflection. We watched it for about 15 seconds more. It was just sitting there. Again.. I ran through my mind on what it could be. The Sun was gone already, It was close to the ground..and certainly not the moon. It was an oddity that had got me thinking again.. I started to think about all I had encountered here..thus far. I knew that it was the same sort of thing that I had been experiencing already. My buddy then broke my thoughts as he said "come on, let's go down to the lake and see this". I was kind of apprehensive for two reasons..The most obvious of course was the abduction that I had recalled..THAT was enough reason for me...but it was not the only reason..I didn't want to go down to the lake. I knew it would not stay long...I knew that it was not going to wait for us to get there. I responded to my best friend about going down there, by saying "no! It will be gone soon". The truck now in gear, we continued towards the lake..I was keeping an eye on the craft...it still had not moved anywhere..We continued on..and once we started to get into the trees...I told my friend to speed up...I felt we didn't have much time to get there before it would be gone. I kept an eye on it as long as I could before the trees blocked the view of it. I saw it a few times as we got closer, and it still had not moved. It was still sitting very heavily in the sky. It was then, which was the last time I saw it. The trees now totally blocked any view we might have. We got down to the lake fairly quickly..I am sure less than a minute had passed since we started towards the object. It was gone, as I thought it would be. I walked up to the shore..and scanned the sky...looking in all directions...but I knew it was no longer around. I spent the rest of the weekend thinking about everything..but seeing nothing else. Part 3 on the way! I had planned on making this into a two part article.I have never put all my encounters together..and therefore have never really done the math to see how many I have had. I realize now that I still have nine more events to share with you..and feel that two parts is not fair to anyone..and so..part 3 is on the way. Part 3 is being put together as you read this.It will include the last nine events that I have had..and will bring you up to the current. Stay tuned, as part 3 will include more close encounters..with diamond UFOs as well as being visited by the Greys once again. I will also be getting into..the connection that abductees have with their alien abductors. 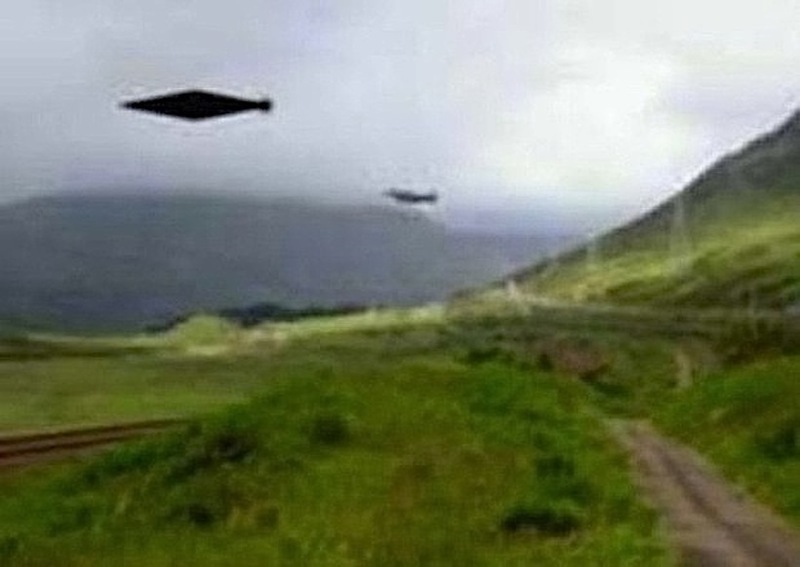 There are still still more daylight sightings and close encounters, including being chased/followed by an alien craft, that was there for animal mutilations. I will be explaining everything in detail...and..getting to the bottom of what may be the reason for the alien presence in the Parkland Region of Manitoba. You can find part 1 of my encounters at my blog "Taken By the Greys". I will also be putting up video talking about my abductions and taking you to the places that they occurred. http://www.facebook.com/#!/profile.php?id=1516347893 or just type in doug harvey or douglas harvey. it has a pic of my moms ern for her ashes. add me on facebook if you have it. thanks again, and i need to talk to you but in privete, facebook is better then email, i dont check email very much. hmm you said alot of this happens at the lake? ever think that theres somthing in the lake that is attracting the ufos? ( or aliens *living beings* )? i would have the lake checked and checked good. the MIB prolly induced you with the stuff cause they were on a mission most likly to try to retrive whats in the lake. i LOVE UFOS well ok i love aliens and alien ships and anything to do with space. well im going to keep reaing more. i love this blog! Yes..Many of my sightings have been in the lake area. All my abductions and close encounters have been in the same region..It is only 30 miles apart from where I was abducted by MIBs and where my greys encounters have happened. I do not see the lake being the factor to the sightings. Perhaps there is something else.. There are many locals over a fairly vast region through the Parkland Region of Manitoba that have seen crafts. I do think that being aware..as I was at an early age..maybe had something to do with it. It does go deeper. Perhaps I will write on that too sometime. Fascinating! I appreciate you. Thank you for sharing these experiences. I have seen several different types of crafts throughout my life. 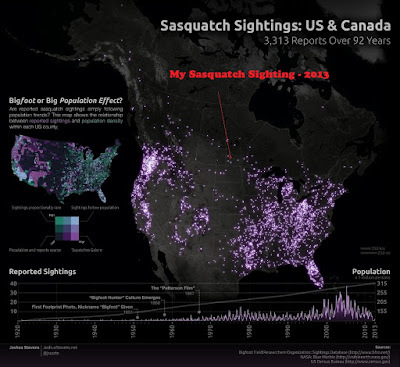 The sightings have occurred in increasing number more recently. Instead of seeing one in a year or more, I have seen 5 in three month's time. I believe that not all lifeforms are "good" nor all "bad", but how you describe the greys fits with others who have had encounters. I am a believer that there is more good than bad in this world, this Universe. I look forward to hearing/reading more of what you have to share. Thank you very much for sharing your experiences. Your writing is very good, and it really has the ring of truth to it. I honestly don't know how people who've been abducted stay sane, since everything we're brought up to believe says these things aren't real, as you mentioned. Anyway, I'm looking forward to reading more. All the best to you.